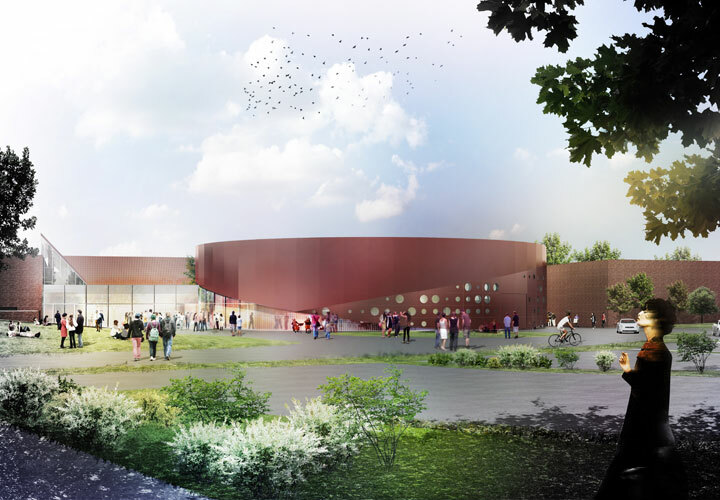 The new theatre in Nykøbing Mors is to be built next to a number of existing educational institutions: Morsø Gymnasium, EUC, HF and VUC. 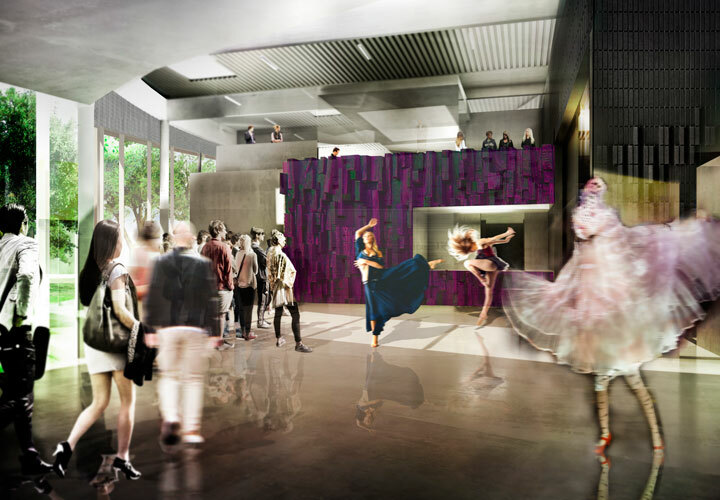 The theatre will be more than just an ordinary theatre. 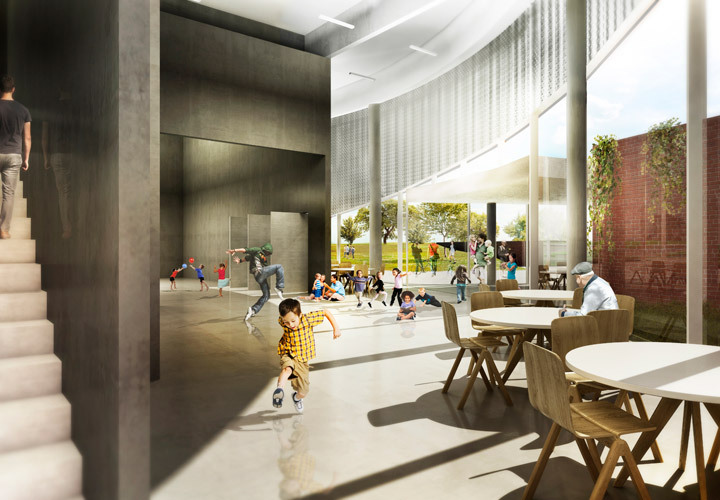 It will serve as a multifunctional cultural center, which takes its starting point in the performing arts, and at the same time making room for sport and education. The theatre is designed as a circular two-storey building. 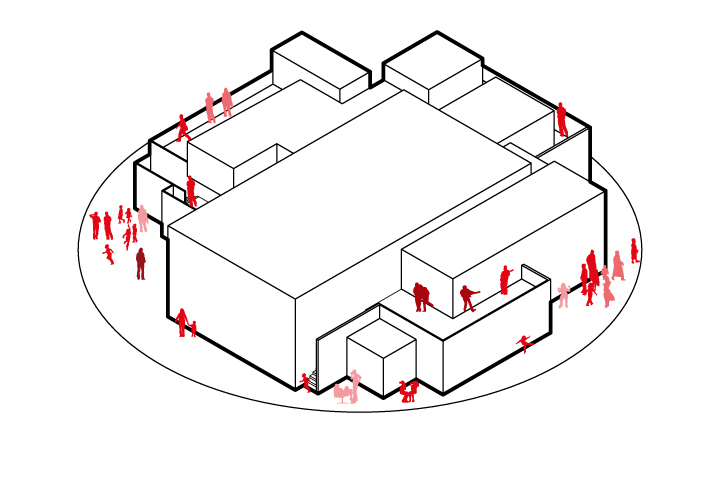 The ground floor of about 1,000 m² houses a theatre, a rehearsal room and a multi-purpose hall. Along the edge of the circle, we locate a number of rooms for formal gatherings during performances and for informal meeting places during the day. Furthermore, this is where we locate the workshops for painting, wood and metal, as well as changing rooms and offices. On the first floor, we locate workshops, animation studio, writing workshop, rehearsal rooms and a sewing room. In addition, the theatre’s administration is located on the first floor. The overall impression is a geometrically simple, but highly evocative house. An effective and cool 360° theatre, which over the years will develop into a unique theatrical universe. Morsø Municipality has allocated money for the project. In addition Lokale og Anlægsfonden, the AP Møller Foundation and Færchfonden have allocated money for the project.